For a fire to start, it needs three simple things. Oxygen, heat and fuel. 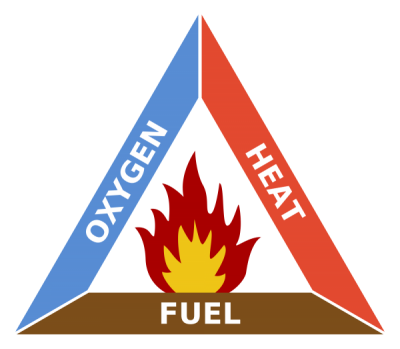 These three things are often known as the fire triangle. This may sound like basic science but can help you to understand how to stop a fire or to understand why it has happened. If you can reduce the amount of oxygen going to a fire, you can stop it. If the heat doesn’t reach high temperatures, it may not cause as much damage and stop the fire from spreading as far. And, if you remove the fuel (any kind of combustible material), the fire won’t be able to take full form. If these elements are left to their own devices, fire damage can be severe. For example, if your timber elements are burned, it can damage the entire structure of a building, causing it to collapse. Similarly, steel work can buckle and melt, causing a building collapse. Without any measures in place to reduce the damage, fire can spread quickly into adjoining buildings and so on. Not only are there costs involved such as insurance, replacing items and so on. But fire puts people’s lives at risk. Whatever you can do to reduce this risk, will make a huge difference to the outcome of an unfortunate fire. Specialist fire products can work in a number of different ways to protect their surface. The technology employed will often be dictated by the level of fire protection required and the substrate the coating is intended to protect. Some products emit gasses that are designed to reduce the spread of flames across the surface, others will form a protective char layer, to help protect the surface for a specific length of time. Some systems may use other effective measures or a mixture of the above to achieve the required protection. Whatever product is chosen with their effectiveness should always be independently tested by an approved organisation to the relevant standards to ensure legitimacy and performance. In a public building, such as an office block the regulations that apply to your property may be different. Again, always check that you satisfy any building regulations to protect yourself and the employees, residents and visitors of that building. 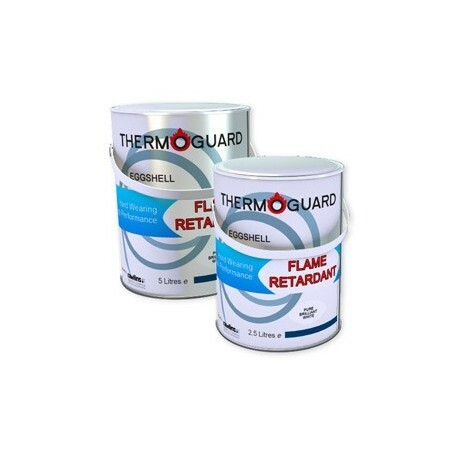 Related Posts: The many different colours of fireproof paint available at Rawlins Paints and a guide on how to safely decorate areas where there may be a risk of fire.